The pectoralis minor is a muscle that becomes easily shortened and tight due to many factors, including rounded shoulder posture, glenohumeral joint dysfunction,breathing dysfunction, and a variety of compensation patterns. It sits on top of the brachial plexus, and can therefore contribute to Thoracic Outlet Syndrome. The pectoralis minor is located in an area of the shoulder with many other muscles, including the pectoralis major, biceps, deltoids, coracobrachialis, subscapularis, serratus anterior, and the latissimus dorsi. I find that clusters of muscles like this often can become dysfunctional due to poor biomechanics. This can lead to adhesions, facilitation/inhibition, and synergistic dominance. The pectoralis minor is often the overactive muscle in these compensation patterns. 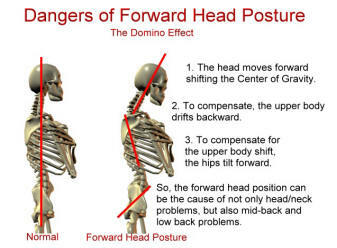 Rounded shoulder posture and forward head posture will cause the pectoralis minor to shorten. This action is called protraction and is opposed by the muscles of retraction. These include the middle trapezius and the rhomboids. Commonly the pectoralis minor becomes facilitated and the middle trapezius becomes inhibited. Release of the pectoralis minor followed by strengthening of the middle trapezius can be very effective in these cases. Because the pectoralis minor rounds the shoulder, it is opposed by the latissimus dorsi which moves the shoulder back and down. Again, release of the pectoralis minor followed by strengthening of the latissimus dorsi can be very effective. 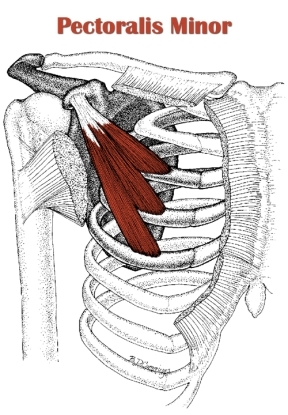 The pectoralis minor is a downward rotator of the scapula and oftentimes involved in glenohumeral dysfunction. If it is facilitated, it can inhibit the serratus anterior, which contributes to upward rotation of the scapula. 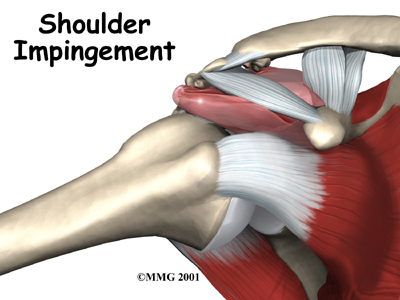 This can lead to impingement syndrome and sometimes winging of the scapula. The resultant scapular instability greatly contributes to shoulder joint dysfunction. The pectoralis minor also contributes to kinetic chain dysfunctions. For example, in the front line, the pectoralis minor often inhibits the psoas. In the diagonal line, it can inhibit the contralateral psoas. This is a factor in gait dysfunction. Also in gait it can inhibit the backward swing motion of the contralateral arm and the backward swing of the ipsilateral leg. Right thoracic rotation can be inhibited by the right pectoralis minor because of its contribution to internal rotation. 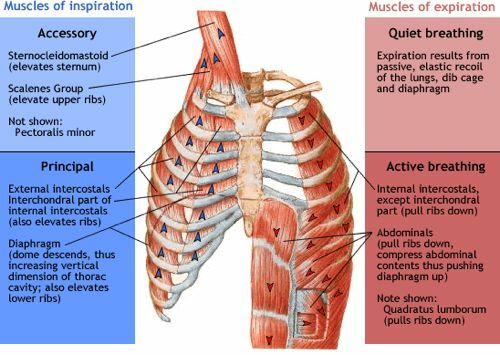 Lastly, the pectoralis minor can contribute to breathing pattern dysfunctions. People who are “chest breathers”, commonly have facilitated pectoralis minors and scalenes, which elevate the rib cage. These are opposed by the quadratus lumborum, which depress the rib cage. If the QLs become inhibited, the possibility of lower back pain greatly increases. Release of the pectoralis minor followed by strengthening of the QL not only can relieve lower back pain, but also can help to repattern faulty respiratory mechanics. The pectoralis minor is a short and powerful muscle that can frequently become facilitated and contributed to a host of compensation patterns. Don’t forget this muscle when treating neck pain, shoulder pain, arm and hand pain, hip and leg pain, and breathing pattern dysfunctions. Pec Minor: Postural Compensation & Major Problems - Free Your Spine linked to this.